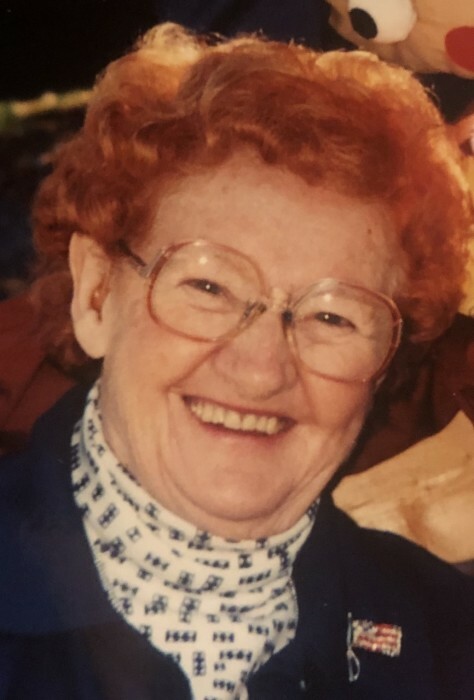 AUBURN | Veronica Hall, 101, of Auburn, passed away peacefully Wednesday, April 10, 2019, at The Commons on St. Anthony. She was born in Weehawken, N.J., the daughter of the late Patrick and Delia Duffy Weir, and had resided most of her life in Union City until moving to Auburn in 2005. She was a very devout Catholic having attended religiously in her later years at St. Mary’s Church in Auburn. She worked various jobs in her earlier years and was most proud of helping our veterans during World War II and securing the safety of our children as a longtime crossing guard. Veronica or “Miss Victory,” as she was known for her support during the war was a very proud, patriotic woman that would bleed red, white, and blue if she could. Veronica also enjoyed reading the newspaper and watching any movie that had John Wayne in it. Veronica’s feisty attitude and infectious smile will be always remembered and truly never duplicated. She is survived by her loving daughter, Veronica Benson and close companion, Herb Fritag, of Skaneateles; as well as other nieces, nephews, and cousins. In addition to her parents, Veronica was predeceased by her husband, Howard; nine siblings, and a half-sister.